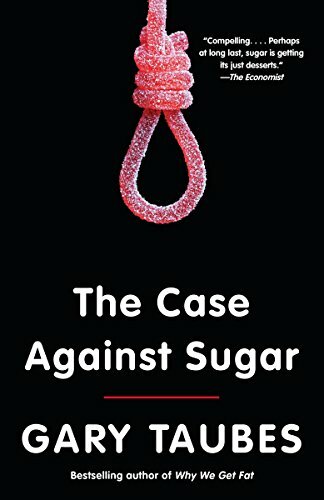 “Sugar Crash,” a documentary, details the havoc that excess sugar consumption is causing for the people of Ireland, a country that ranks No. 4 in sugar consumption worldwide. On average, the Irish are consuming 24 teaspoons of sugar per person daily, whereas the World Health Organization recommends limiting it to 6 teaspoons a day to protect your health.1 For comparison, in the U.S, the No. 1 consumers of sugar worldwide, the average American consumes 31.6 teaspoons of sugar each day. The start of the film details the perils of tooth decay, with children just 4 and 6 years old requiring numerous tooth extractions. Sugar was blamed as the definite culprit, starting from the time the children are infants chewing on sugar-laced teething biscuits into later childhood when sugary juices became the drink of choice. There are more than 50 different names to describe sugar on food labels, which means if you’re trying to remove it from your diet, you’d better become well-versed in the many pseudonyms. Even savory foods like pizza and pasta sauce have added sugars, as do popular condiments like ketchup and salad dressings. Sugary drinks alone can contain 10 or 11 teaspoons of sugar in one can, which puts you well over the recommended limit for the day. While the documentary focuses on Ireland’s sugar habit, it’s one that’s shared through much of the developed world, with devastating repercussions on global health. How Did so Much Sugar Creep Into Our Diets? Ireland was the thinnest country in Europe after World War II, and the increasing weight that occurred during the ‘50s and ‘60s was seen as a good thing. However, average weight caught up with the rest of Europe by the ‘70s and continued rising, such that Ireland is slated to become the fattest country in Europe by 2030. Expanding waistlines are again blamed largely on diet. As occurred in the U.S., food manufacturers and health agencies alike began to vilify fat, removing it from foods starting in the ‘70s. Sugar stimulates the release of dopamine, a neurotransmitter that plays a role in many important pathways, most notably the mesolimbic pathway.2 The way dopamine affects your brain in this area changes with addiction and spikes your perception of motivation or pleasure. Sugar makes you pack on excess pounds and prevents your body from burning body fat. It’s been implicated as a foundational cause of obesity as well, but even if you’re not overweight, it’s very possible that sugar is damaging your health. “Sugar Crash” documents the story of one family, including a couple in their 40s who aren’t overweight but admit to eating sugary treats on a regular basis. They have no outward indications of health problems, but MRI scans revealed they both had fat around their abdominal organs (visceral fat), which is linked to an increased risk of diseases like heart disease, Type 2 diabetes and stroke, along with imbalanced cholesterol. They cut down their sugar intake significantly and were able to reduce their visceral fat and improve their cholesterol, as shown later on in the film. Sugar Crash also features an interview with documentary filmmaker Damon Gameau, from “That Sugar Film,” who conducted an experiment during which he went from eating a low-sugar diet to consuming about 40 teaspoons of sugar a day. What makes the experiment even more surprising is that he got to 40 teaspoons not by feasting on candy and soda but by eating supposedly “healthy” foods like energy drinks, fruit juice, cereal and yogurt. After 12 days of ramping up his sugar intake, Gameau had gained almost 7 pounds, the majority of which went straight to his abdomen. Researchers have known since the 1960s that your body metabolizes different types of carbohydrates, like glucose and fructose, in different ways, causing very different hormonal and physiological responses that absolutely may influence fat accumulation and metabolism.5 Unlike glucose, which can be used by virtually every cell in your body, fructose can only be metabolized by your liver, because your liver is the only organ that has the transporter for it. Since all fructose gets shuttled to your liver, it ends up taxing and damaging your liver in the same way alcohol and other toxins do, particularly if you consume excess amounts of it. In fact, fructose is virtually identical to alcohol with regard to the metabolic havoc it wreaks. According to Lustig, fructose is a “chronic, dose-dependent liver toxin.” And just like alcohol, fructose is metabolized directly into fat — not cellular energy, like glucose. “We keep alcohol out of the hands of children, but we don’t think twice about giving them a glass of soda or orange juice,” Lustig says in the film. “Children are getting the diseases of alcohol without alcohol, because sugar is the alcohol of the child.” While childhood obesity is a growing problem, it’s also true that lean children who eat a high-sugar diet may be metabolically unhealthy, even though it’s not obvious from looking at them. On a global scale, massive sugar addiction is responsible for not only obesity and diabetes, but also heart damage and heart failure, cancer, neurodegenerative disorders like Alzheimer’s disease, hypertension, stroke and shorter lifespans. American taxpayers have contributed hundreds of millions of dollars to sugar subsidies,8 which is why the Sugar Policy Modernization Act is seeking to eliminate all direct and indirect subsidies that benefit the production or export of sugar. The bill has yet to be passed, and many members of Congress receive hundreds of thousands of dollars from the sugar industry, so it’s unknown whether the subsidies, which occur in the form of “loans, price guarantees, import restrictions and government promises to buy surplus product,”9 will ever fully disappear. In the film, it’s even suggested that labeling similar to that required on tobacco products may be necessary to help people understand the health risks of excess sugar. The film recommends looking for “reduced sugar” foods, but in reality the best way to avoid sugar is to eat real foods. 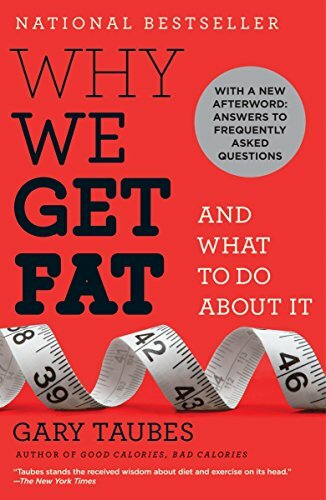 Following a high-fat, low-carb, moderate-protein diet like the one described in “Fat for Fuel” is an excellent guide, which will help you reduce not only your fructose intake but also your net carbs. Eating healthy fats like grass fed butter, avocados and coconut oil, will keep you satisfied to help you avoid the urge to binge on sweets. Fermented foods are another great dietary addition, as the sour taste squelches sugar cravings. 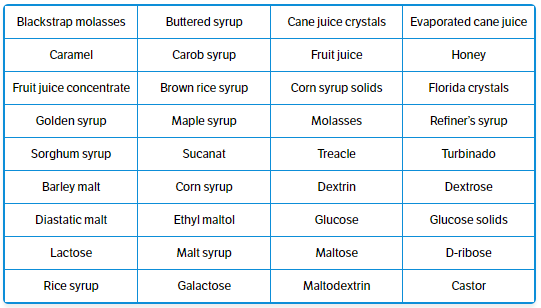 For processed foods you do purchase, scour the label for ingredients that represent sugar to evaluate the total amount. Remember that the less sugar you eat, the less you’ll crave. Avoid swapping sugar for artificial sweeteners like aspartame, which are toxic in their own right. If necessary, start slowly by removing some of the biggest high-sugar offenders from your diet then gradually cutting back from there. And remember, the more you cut back on added sugars, the better for your health.